Breeze on my Skin: Back in the Studio--Oh Yes! Back in the Studio--Oh Yes! This small art quilt had a beginning a very long time ago, and then the pause button was pushed. I wasn't sure how to proceed--what was next? 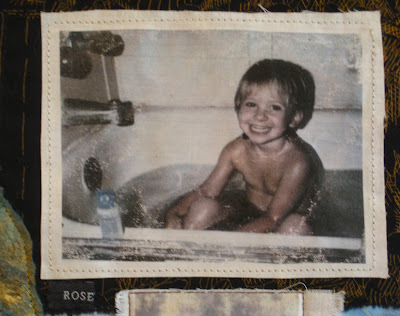 I loved the two images of my daughter, Amaliya Rose at 3 years old in the bath tub. She loved water and bath time was a treat--you can see the big smile. 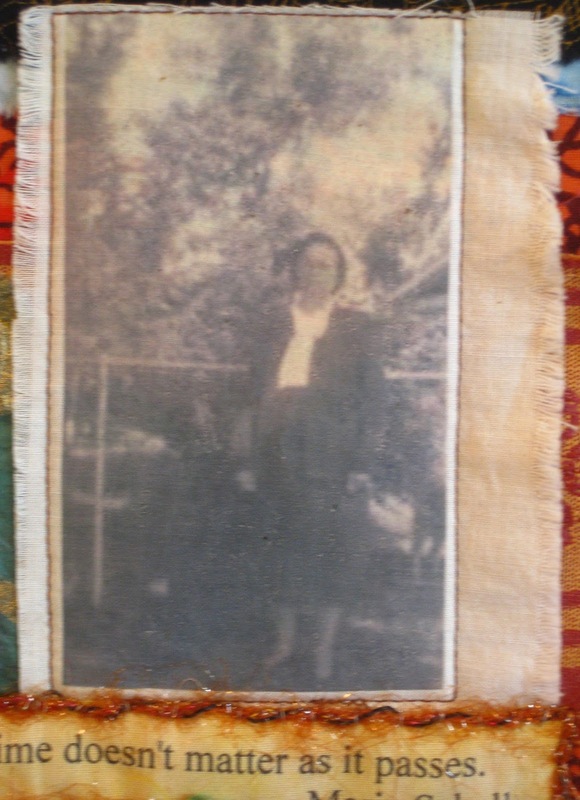 The lower image is my grandmother, Mary Catherine. She looks dressed up and ready to go some where. She was a dear woman and met Amaliya when she was a little baby before she passed away. I looked for an image of my mother, Mary Rose to add to this collage piece--but I didn't have the image that completed this art quilt. And then I found the word, Rose as part of a garment label. It fit and connected. So the energy of Amaliya Rose and Mary Rose is present in that small word. The button was sewn up beside the Amaliya image and I had to move it to its current location. The antique button looks like a tree of life to me. Amaliya and showing the world her pleasure. I finally found peace to complete this lovely little quilt. 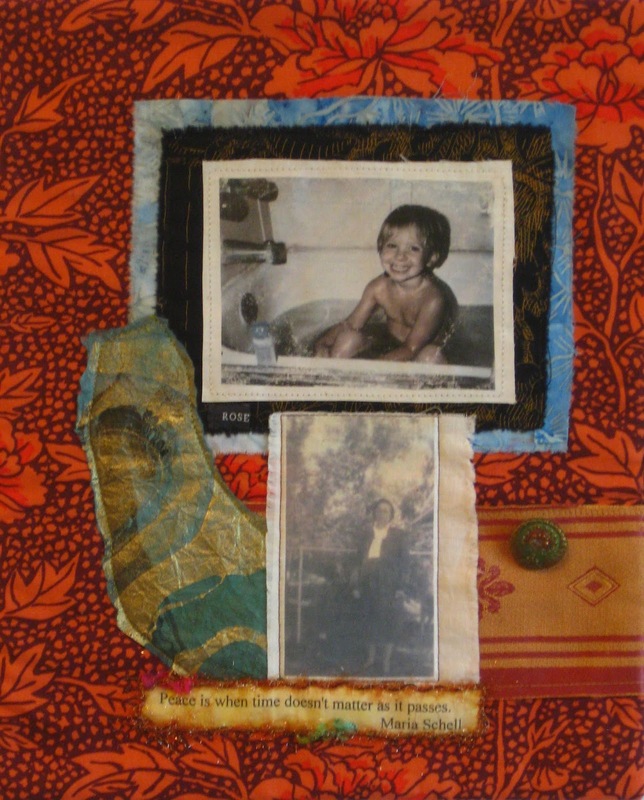 See more art quilts in the Breeze on my Skin Gallery.